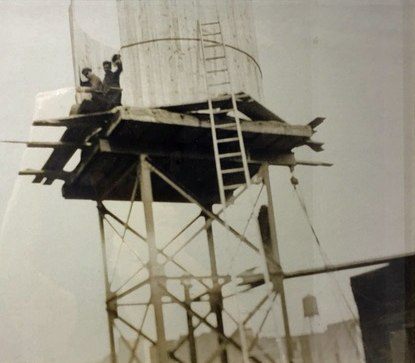 Go With the Flow: The Water Towers of SoHo | SoHo Memory Project. Water towers are a common sight in New York, especially in SoHo. Wherever you are, if you look up, chances are you’ll see at least one, if not a small forest of them dotting the skyline. They are certainly a mainstay of SoHo’s architectural landscape. Although I grew up seeing them every day, I never really knew if or how they worked. Do all of those wooden containers still hold water? And if so, how does the water get in, and then out again? I had the pleasure of sitting down with David Hochauser, co-owner of Isseks Brothers, a family company that has been continuously building and repairing water towers since David’s great grandfather, a cooper (barrel maker) from Poland, built the first water tower in New York City in the 1890’s. It turns out that, although they may look like remnants from New York’s past, 99% of the water towers in SoHo are still in use and they are still being manufactured, though only two companies that build them remain in New York City. Beginning in the 19th century, as buildings grew taller (than six stories) and especially after Elisha Otis invented the safety elevator, the city needed a way to get water to the higher floors of buildings. Originally made from Redwood, the tanks are now built from cedar planks (Alaskan, White, Yellow). At first they were used solely to provide everyday water for drinking, bathing, etc. to the tenants of the building. After the tragic 1911 Triangle Shirtwaist Factory fire, where 146 workers died due to lack of means of egress and sprinkler systems, laws were put in place that required buildings to install fire safety measures. I’ve always felt that water towers are in themselves works of art. Artists have also used water towers as their canvases and backdrops. The Water Tank Project transformed 300 water tanks in New York City, including one on West Broadway and Spring Street by Lorenzo Petrantoni, into public art pieces that aim to increase public awareness of the need for water conservation. 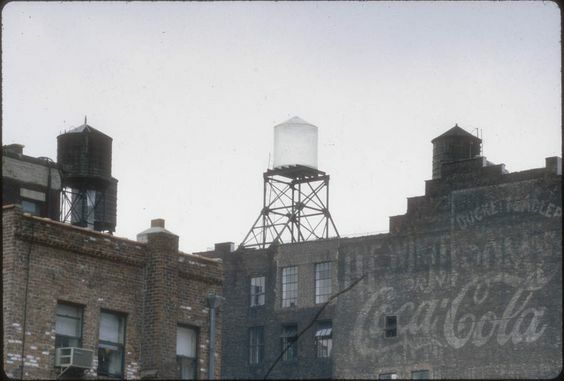 There is also Rachel Whitehead’s Water Tower, a translucent resin tank that she herself called a “jewel in the Manhattan skyline” located at West Broadway and Grand Street and is now part of MOMA’s permanent collection. There are also artists like Sophie MJ Cooper who feature water towers in their urban landscapes. Although she lives in Santa Monica, Sophie often comes to SoHo to visit her muses. 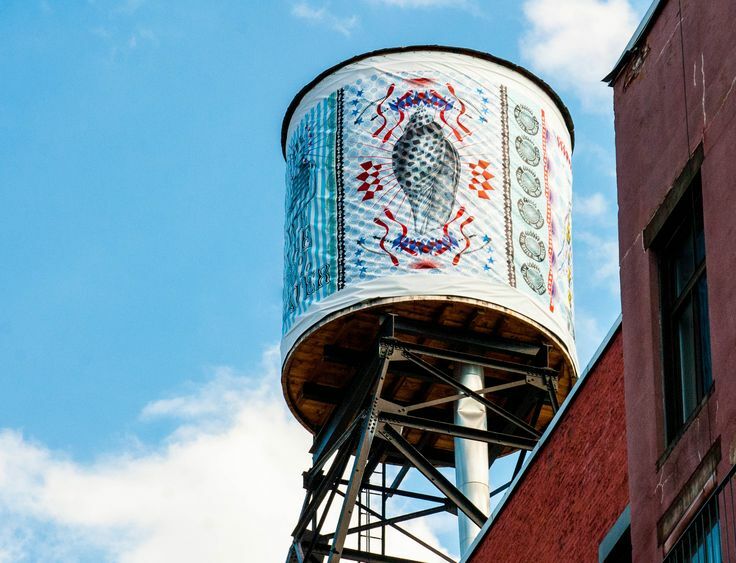 So if you haven’t yet been struck by the beauty and grace of our fair city’s water towers, make sure to look up to see art, form, and function collide along SoHo’s rooftops.